If you have been juggling all the aspects of marketing for your small business or website, then you probably understand just how much time and frustration goes into creating an effective campaign. Many are worried that if aspects of their marketing are given to another individual or company to handle, then they may not apply the same level of dedication and expertise that you – the business owner – are applying. Fortunately, there are many elements of marketing that can be outsourced to qualified individuals, making your job much easier. We will review the main aspects of marketing that you can entrust to others, in the hopes of making your marketing experience easier and more efficient. When receiving tons of inbound marketing leads, you may be hard-pressed to handle them all. Whether it is verifying the contact information for each selected lead or simply getting back in touch with an interested party, sorting through all the variations can be a hassle. 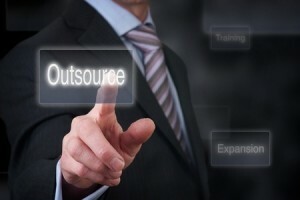 For those who are pinging services and products with the hope of gaining leads, you may find out that outsourcing elements such as contact verification, appointment creation and quality assurance, finding a component company that can handle these aspects will make your lead generation process run a whole lot smoother. If you need help with compiling unique content for your marketing campaign but do not have the time to do so due to handling all the other elements of marketing, then you may wish to consider outsourcing elements of your content creation to freelance writers or an affordable marketing team. Content creation is one of the safest and most commonly outsourced elements of marketing, so the only risk you have is whether the selected individual or company can live up to your expectations of creativity and quality. By vetting each potential candidate prior to making a commitment, you can eliminate this risk. Some of us can multitask with the best of them, but many do not possess the required skills that allow them to handle leads, content, web design and the multimedia aspects that come with marketing. If you feel that your site or business could benefit from a video, then you may wish to consider outsourcing the task to a qualified individual or company. One quick search in Google will show you plenty of candidates that are pinging services such as video editing and creation; by evaluating multiple options and making sure you get the best balance of cost versus quality, you can rest assured knowing that yet another element of your marketing campaign is being handled by a professional. This element can be a bit trickier than the rest, but is still possible. You will most likely have already cultivated an image, personality and brand that is associated with your website or business via social media – and most likely, you will want to maintain that. While in-house social media management is the best solution, many do not have the time or expertise to continuously handle its operation. Before turning this element of your marketing campaign over to another, be sure that the individual or firm inherently understands your objectives, passions and the personality of your brand.